It’s a relatively well know fact that Amazon wants to own the entire supply chain – in fact, in many places they already are. But Amazon’s purchase of the remaining 75% that it didn’t already own in the French parcel service Colis Prive’ is different. Going all in on logistics in the way Amazon seems to be doing requires a huge amount of infrastructure, planning, and resources. But if there is any company in the world that is up to the challenge, it is Amazon. In my opinion, this is a huge deal. The reason being that Amazon seems to have tested several strategies for extending their fulfillment capabilities, choosing the one that bore at least a top result, if not the best, for them. Amazon has traditionally utilized 3PLs, including all the major companies – FedEx, UPS, USPS and others. At its inception, these partnerships were perfectly effective, however in recent years they have become more problematic. With Amazon’s increasingly aggressive shipping options such as 1-2, same day delivery and now 1-2 hours delivery, many of these 3PLs have become overloaded and unable to deliver on time. In the last year or two Amazon has made several announcements that indicates their testing of smaller, local fleets for both last-mile delivery and transportation of goods between fulfillment centers – both traditionally carried out by 3PLs. In April 2014 Amazon launched a “last-mile” delivery service with its own fleet, in certain select markets. This move could also be seen as further step towards growing its same-day and one-hour delivery services. In December 2015 Amazon announced it was rolling out a fleet of branded trailer trucks. However, these trailers are meant for shipments between Amazon’s storage and fulfillment centers, not delivery to the end-customer. 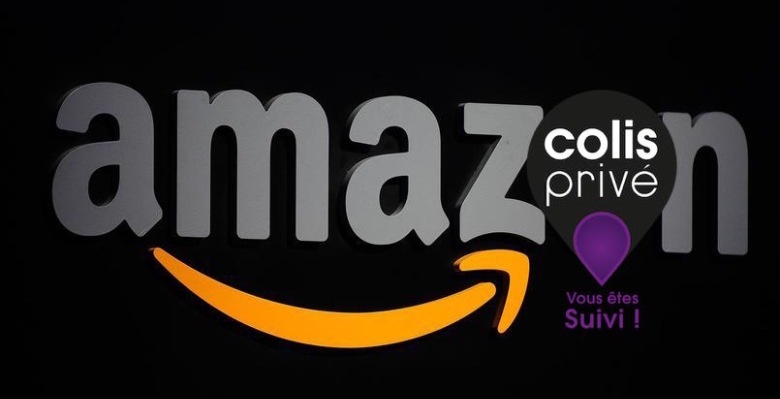 In May 2014 Amazon bought a 25% stake in French delivery company Colis Prive’. This move was ostensibly to build its last-mile capabilities outside its home market. However, when looking at the larger picture, one could see the greater implications. Namely, to become a full fledged parcel delivery company. Why Did Amazon Go All-In on Colis Prive’? Each of these strategies were done on a limited scale, most likely as test cases for their larger expansion. The purchase of Colis Prive’ indicates which one of these tests showed the greatest success. There are several reasons why Amazon would see owning the entire supply chain in this way as the best way to go forward. It comes down to dollars and cents. Over the years fulfillment has been Amazon’s number one top operating expense… and continues to rise. In weighing the cost/benefits, the company most likely realized that using a 3PL for their fulfillment was not a scalable or economic solution. In terms of 3PLs, Amazon most likely realized that they could not rely on outside parties to handle orders, especially at peak times of year. In both 2013 and 2015, the shipping companies Amazon works with were unable to get packages delivered in time for Christmas. For a company like Amazon, this was entirely unacceptable. This happened even after extensive planning, opening new warehouses and hiring additional workers. If Amazon is going to scale, it needs to be in control of the entire supply chain. From its humble beginnings as an online book store, Amazon has exploded into a monstrous company that has its hands in a wide variety of industries. One thing that permeates all their businesses is the high level of efficiency that CEO Jeff Bezos has championed. Personally, I think this gives amazing value by enabling full visibility across the board and empowering them to affect the whole supply chain. Warming up local delivery staff in certain locations when seeing a lot of traffic on the site from that specific location. Moving necessary SKUs to the front of their warehouses for quicker shipping. Showing customers before ordering what their delivery options are, in real time. Obviously, not every company can afford to buy a shipping company, but that doesn’t mean they can’t level the playing field. In today’s day and age technology is the great equalizer. The Bringg solution is the simplest and most cost effective way to streamline operations, which will allow you to optimize efficiency at each stage of the supply chain. From receiving an incoming order, to distribution of delivery tasks to the right driver, at the right place, at the right time, to the end-customers’ experience when receiving their shipment, Bringg enables any business to deliver efficiently and streamline their operations. Additionally, many businesses have already-existing infrastructure to manage their fulfillment operations. Creating a stack of technologies to enable businesses to deliver efficiently. In this regard, Bringg provides great benefits as well. The most important aspect of this stack would be an open API system that allows you to view the entire process – from incoming order to final delivery, and everything in between.